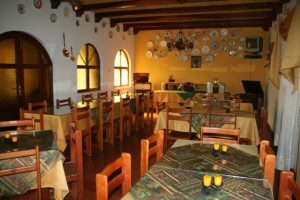 Hotel Oro Viejo is a quiet and homely retreat from the nearby center of Nazca but just close enough that all your entertainment needs are easily accessible. 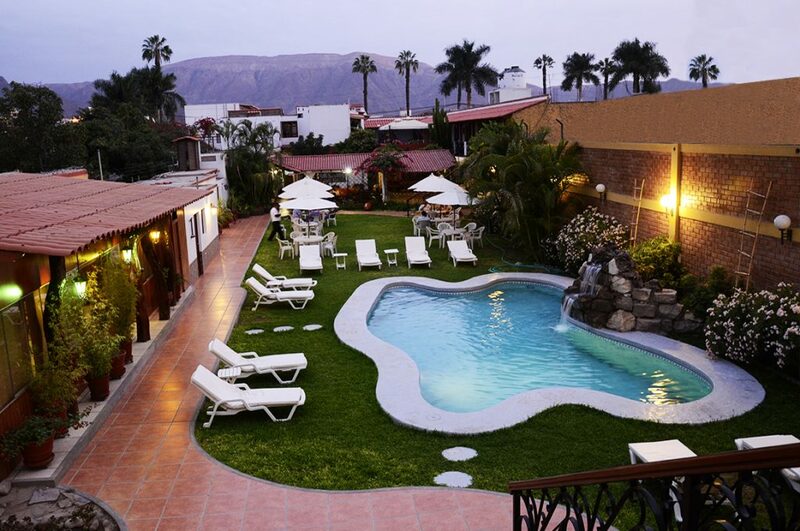 The hotel’s bright and luxurious indoor and outdoor lounges will put you right in the mood for relaxation while allowing you to prepare for your excursion to see the infamous ancient Nazca Lines. Our hotel is a place where you will find a pleasant atmosphere which will make your stay in our facilities most agreeable and unforgettable. 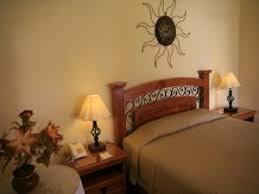 We are prepared to receive you with all the necessary amenities for your satisfaction. 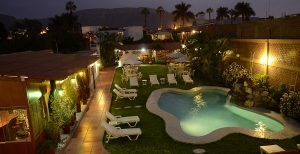 The Oro Viejo Hotel is situated just three blocks from the Plaza de Armas of the town of Nasca, on the south coast of Peru. Nasca lies at 587 meters above sea level (about 2000 feet), and has a pleasantly warm and dry climate all year round. 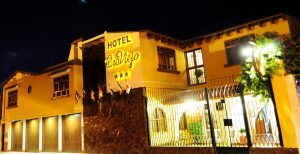 Our hotel is located in a tranquil setting near the center of town, allowing tourists easy access to the central plaza, and areas of interest. 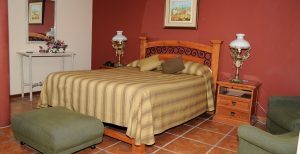 We are located near the principal restaurants, souvenir shops, and cultural centers of our town.